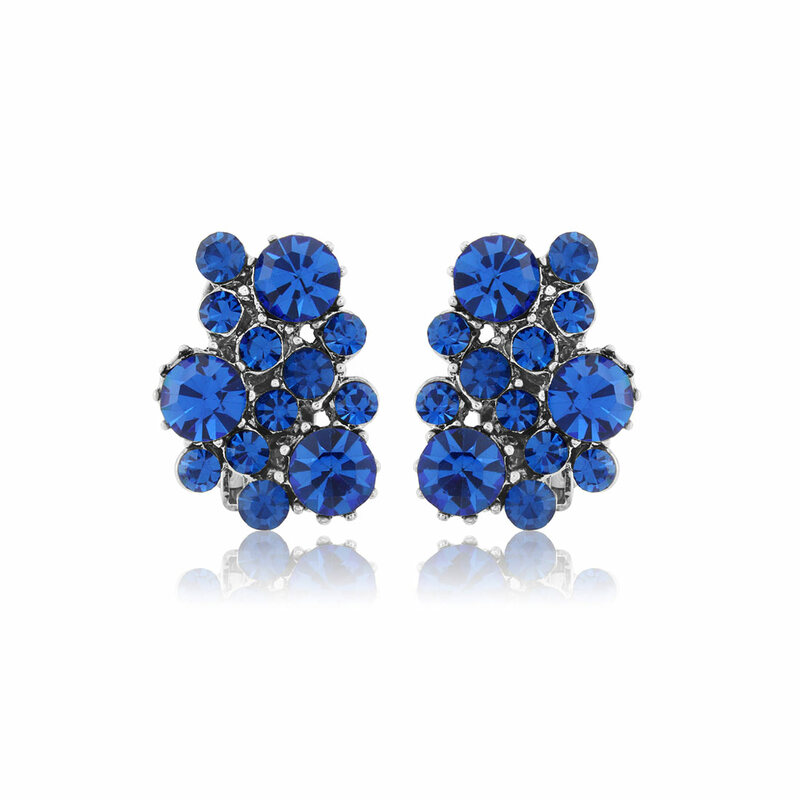 Add a splash of statement colour with these fabulous cobalt blue crystal button clip on earrings. Perfect for daytime and evening occasions. With such vibrancy, our Paradise Dream Clip On Earrings instantly add a splash of striking colour. A collision of high fashion and vintage style, this stunning pair features a cluster of on-trend cobalt blue Austrian crystals in a classic and timeless design. Perfect for daytime and evening occasions, these clip earrings will dress up demin and a crisp white shirt for a lunch date or accessorize a fabulous evening gown for a glamorous party (especially teamed with a cobalt clutch or heels!). The most gorgeously captivating colour, wear these to brighten up black, with blue for a bold tonal look or go for drama and team with other rich jewel tones. Simply stunning if you adore coloured jewellery that makes a statement, Paradise Dream have a subtle hint of 1940s Old Hollywood style that gives this fashion-led pair season after season wearability.